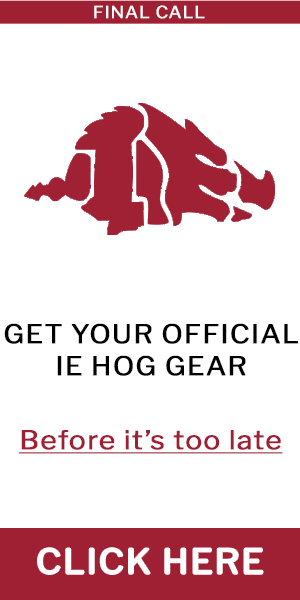 The Arkansas Academy of Industrial Engineering (AAIE) was established in 1986 to recognize the achievements of University of Arkansas Industrial Engineering graduates and to provide continuing guidance and support to the Department of Industrial Engineering. The Academy’s activities throughout the year strive to enhance these goals and promote the engineering profession. The U of A program is assisting through scholarship money and student recruitment. The annual meeting reviews the Academy’s progress and is highlighted by an induction ceremony for the new members. Most members use this opportunity to return to campus to visit with former classmates, maintain contact with former professors, and keep up to date on College and University activities. The Academy also provides its members with the opportunity to nurture and support the organization that played an important role in their professional growth and development. Register Now for AAIE Weekend! AAIE Member, Pam McGinnis, works with student group to empower LGBTQ-plus people in science, technology, engineering and mathematics. The Fall 2018 Department E-Newsletter is here! View the Fall DODEC Newsletter Online! Check out the Summer 2018 Department E-Newsletter!